Sluggish, Sticky, Inertial Inflation. There are two big problems with many academic models used to think about monetary policy. First, optimal monetary policy papers often do not include investment in the model. (See “Next Generation Monetary Policy.”) Second, a large share of all sticky price models lack any inflation inertia: if a substantial shock hit the model economy, inflation would instantly jump to a new and quite different value. In relation to the majority of macroeconomic models, one of the big mysteries of the Great Recession was why inflation didn’t fall more. In the last few years, one of the big mysteries for the majority of macroeconomic models has been why inflation didn’t rise more. Imperfect information processing is a likely part of the explanation for both: firms that believe that the Fed is trying hard to keep inflation at 2% might feel they don’t have to pay much attention to inflation. It is unlikely that they don’t know when inflation differs from 2% per year; they don’t do much with that information. Then what they do with their own prices tends to reproduce something much closer to 2% inflation than if they were paying attention to the level of inflation. In a particularly revealing admission, Mr. Powell said he was discouraged that inflation hadn’t risen in a more sustainable fashion. “I don’t feel we have convincingly achieved our 2% mandate in a symmetrical way,” he said. “It’s one of the major challenges of our time, to have downward pressure on inflation” globally. In other words, Jerome Powell, as Chair of the Federal Reserve Board and Chair of its interest-rate-setting Federal Open Market Committee, feels that inflation is changing much more slowly than he would like in response to Fed policy. 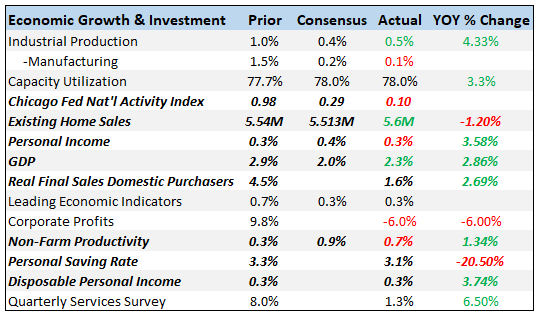 The Fed has allowed the unemployment to fall below 4% for over a year now, and inflation according to the Fed’s favorite measure (the change in the deflator for personal consumption expenditures excluding food and energy) is lately still bouncing around between 1% and 2%, with an average of about 1.5%, instead of bouncing around between 1.5% and 2.5%, with an average of 2% as the Fed would like. Personally, I have no doubt that low enough unemployment for long enough would cause inflation to begin increasing. But that is the long run. Leaving aside hyperinflationary situations that change at hyperspeed, in the short-run, central banks cannot control inflation. The Classical Dichotomy. Let me now combine the idea that central banks cannot control inflation in the short run with the familiar idea that, simplifying only a little, in the long run central banks can only control inflation. Here, the “only” has a lot of poetic license to it: there are many other things that are closely related to inflation: the rate of increase in any nominal quantity, nominal interest rates, and real money balances. But by and large, all the important real quantities people care deeply about are unaffected by monetary policy in the long run. This is the “Classical Dichotomy” (which I consider to hold in the long-run, but not the short-run). In particular, monetary policy cannot affect the real interest rate in the long run. It is possible that claim is false, but it comes from absolutely standard economic theory—theory that makes sense to me. i = r + pi. In the short run, central banks can control the nominal interest rate i, and through it the real interest rate r, but can’t control inflation pi. Through their control of the real interest rate in the short run, central banks can affect a large number of real variables in the short run. In the long run, central banks can control inflation pi, and through it the nominal interest rate i, but can’t control the real interest rate r.
Lewis: If they don’t affect inflation in the short run, couldn’t a central bank buy up, say, trillions worth of stocks and hold them for a year or so with no adverse consequence? Then the government could get all the dividends and not cause any inflation. Miles: But while it can affect inflation only slowly, the affect on inflation that it does have is permanent.